The fall season opened on September 20 with a marathon sale of 19th & 20th Century Prints & Drawings earning more than $2.4 million. The top lot of the sale was a linoleum cut by Pablo Picasso titled Grand nu Dansant, 1962, which sold for $70,000, an auction record for the print. 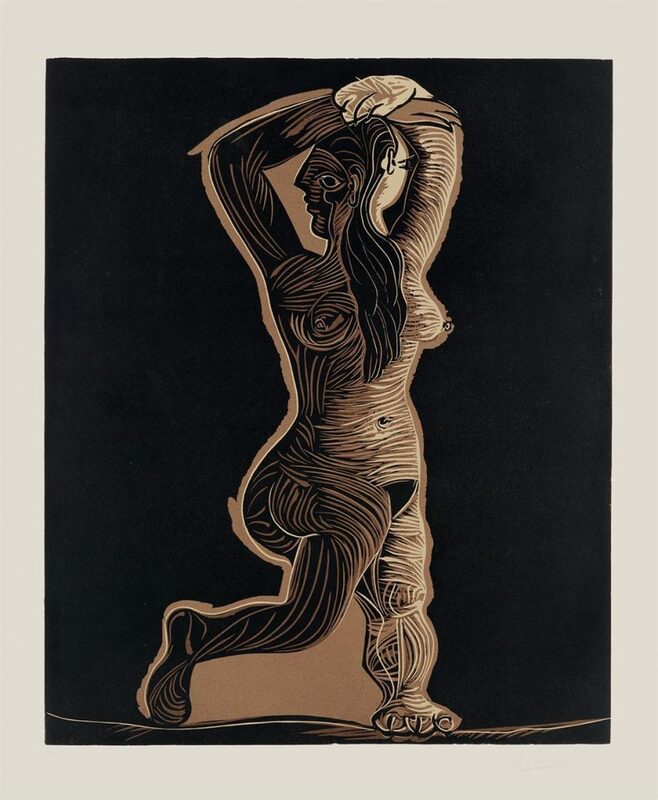 Lot 387: Pablo Picasso, Grand nu Dansant, linoleum cut, 1962. Sold for $70,000. Two other works by Picasso were top lots, including the etching Taureau ailé contemplé par Quatre Enfants, 1934, which sold for $35,000, and a second color linoleum cut, titled Mère, Danseur et Musicien, 1959-60, which sold for $30,000. 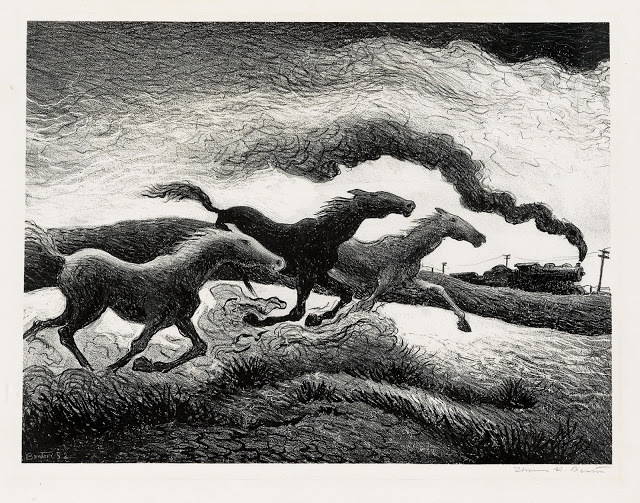 Additionally, La Folie, 1958, a lithograph after the artist, sold for $11,250, more than double the original estimate. 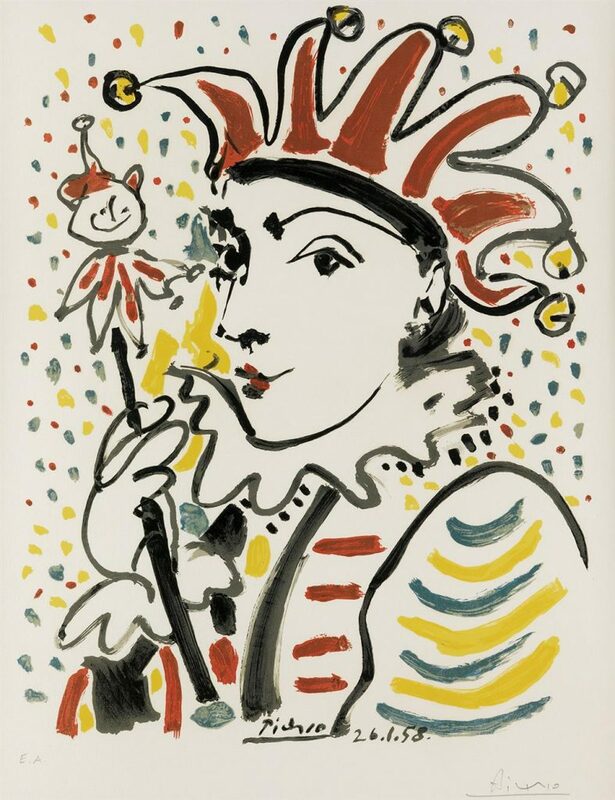 Lot 390: Pablo Picasso (after), La Folie, lithograph, 1950. Sold for $11,250. The entire Architectural Splendor collection, featuring iconic views of New York, brought over $80,000, surpassing its pre-sale estimate. 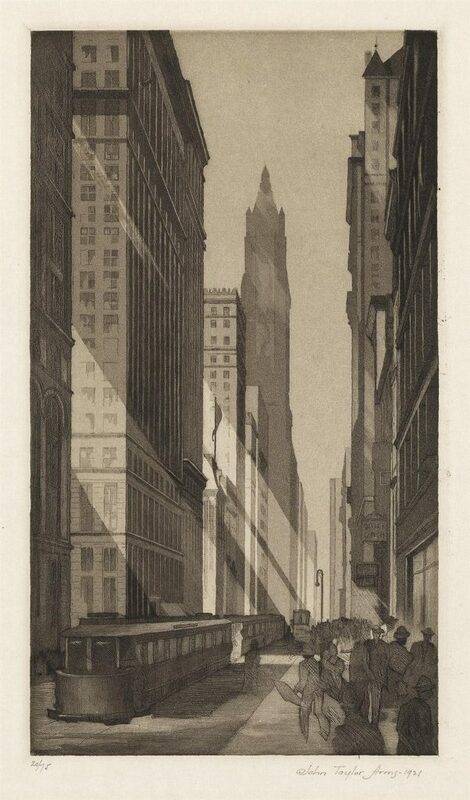 Lot 308: John Taylor Arms, Downtown, New York, aquatint and etching, 1921. 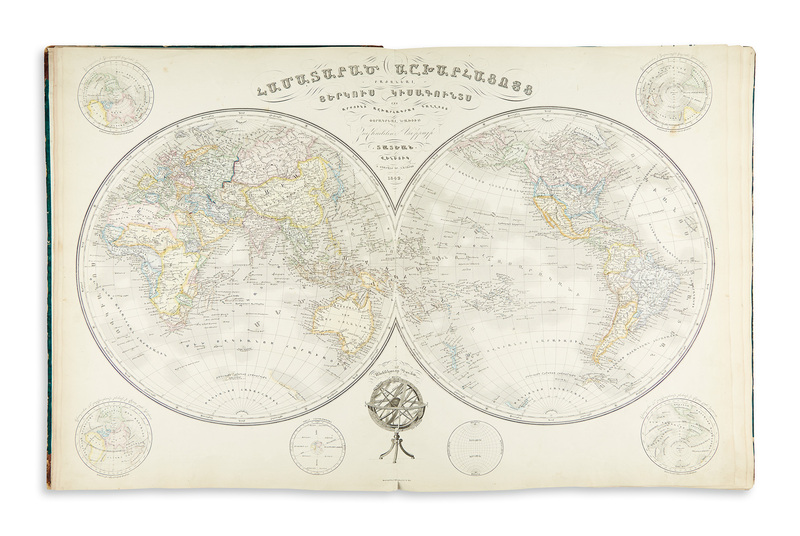 Sold for $9,375. The auction’s cover lot of John Taylor Arms’ etching, Downtown, New York, 1921, and John Marin’s etching of Downtown, The El, 1921, brought $9,375 and $8,750, respectively. Joseph Pennell’s Brooklyn Bridge at Night, 1922, exceeded expectations, selling for $7,250. 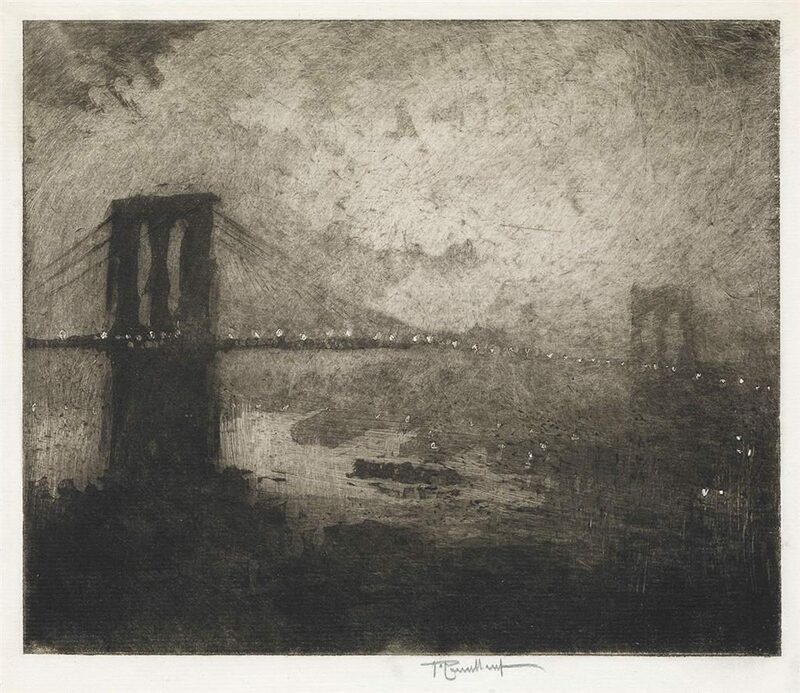 Lot 304: Joseph Pennell, Brooklyn Bridge at Night, aquatint, 1922. Sold for $7,250. Several works by Edmund Blampied performed well: Chrysanthemums, 1930, which sold for $5,750; Anemones, 1930, realized $10,625; and, Bar Scene, 1924, selling for $30,000. 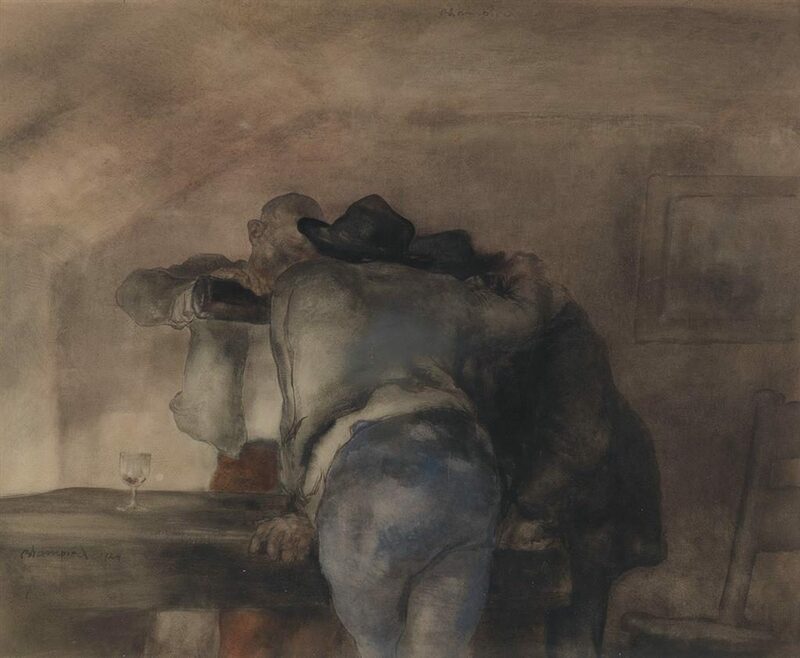 Lot 424: Edmund Blampied, Bar Scene, watercolor, 1924. Sold for $30,000. 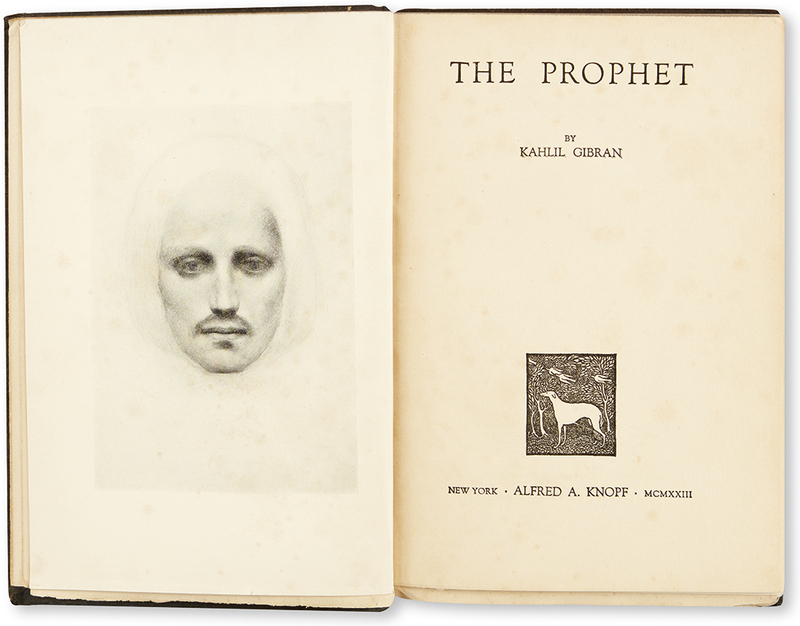 Other notable lots included Dante Gabriel Rossetti’s The Embrace, a pencil drawing that sold for $27,500, and a Henri Matisse drypoint titled Mile Landsberg au viage rond, 1914, which brought $20,000. 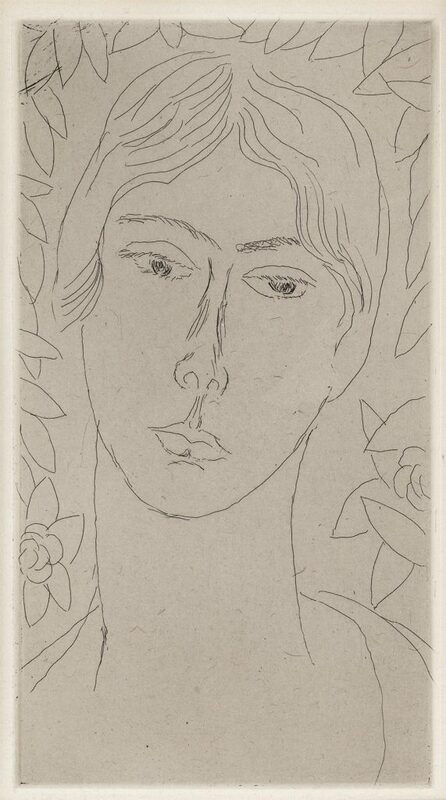 Lot 400: Henri Matisse, Mile Landsberg au visage rond, drypoint, 1914. Sold for $20,000.